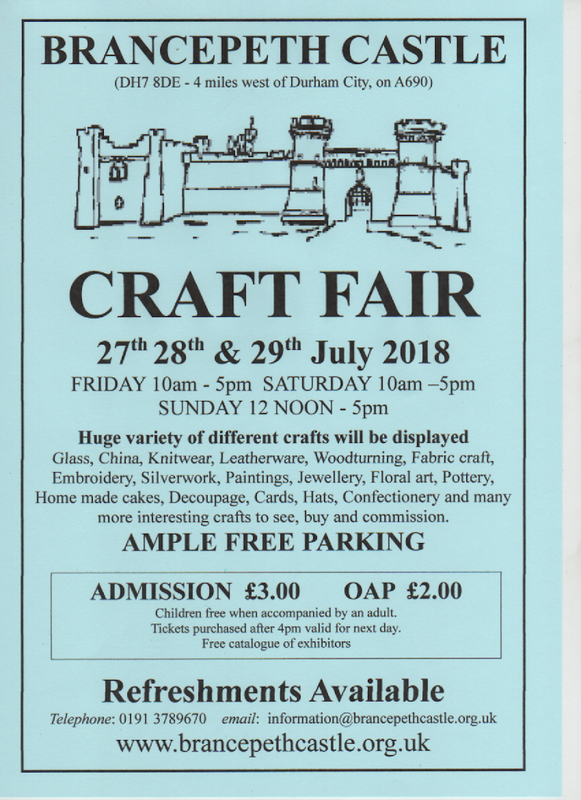 We’re a stallholder at historic Brancepeth Castle’s 2018 Summer Craft fair. It’s a three-day event near Durham. Come join us the last weekend of July. 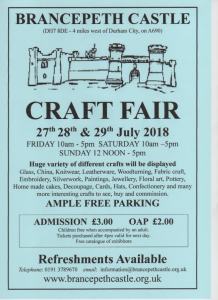 It’s a great venue with many, many types of crafts, plus coffee shops and free parking. There is a modest entrance fee which goes towards support for the castle and local church.